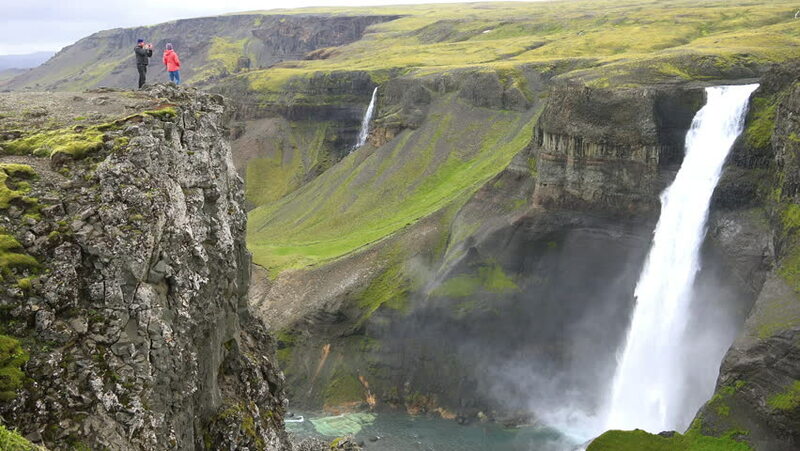 ICELAND - CIRCA 2018 - Tourists look at the amazing high waterfall of Haifoss in Iceland. 4k00:18High Falls Waterfall, Dupont State Forest, North Carolina in the Autumn. Tilt downward from covered bridge to pooling water and colorful, fall leaves.